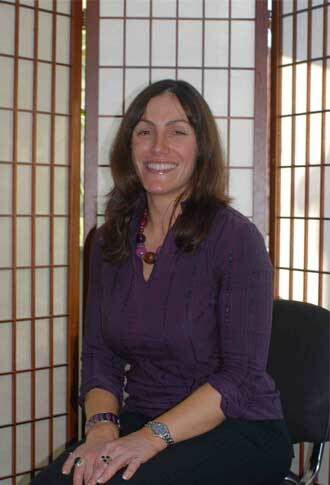 Welcome to Colchester Hypnotherapy With the well known health expert Claire Hegarty The Hypnotherapy and NLP Expert as seen on TV and Always Heard on the Radio Including Her two monthly radio shows. Colchester Hypnotherapy with Claire Hegarty offers a free consultation either by phone or face to face at one of her offices around the United Kingdom where she offers you powerful results. If you would like to change your life and work with a well known Health and Lifestyle Expert to provide real results then call Colchester Hypnotherapy and speak with Claire Hegarty where you will be offered a free consultation over the phone or on a one to one basis at one of her offices. Colchester Hypnotherapy with Claire Hegarty offers a number of services which include: Allergies/Asthma, Anger Management, Anxiety, Block and Stutter/Stammer, Business Coaching, Depression, Fear of Flying, Fear of Needles, Fear of Public Speaking, Irritable Bowel Syndrome, Pain Relief, Personal Development, Weight Loss, and Substance abuse. Colchester Hypnotherapy with Claire Hegarty – your local Professional Hypnotherapy and NLP expert is here to help you to change and improve your life for the better – helping you to over come obstacles in your life with powerful life changing results. As a Health and Lifestyle Expert I have assisted hundreds and hundreds of people in transforming themselves and their lives, enabling them to be who they truly are, have fantastic health, great relationships, fantastic careers, a wonderful home life, creating the health and life they truly want and through my work, I’m often asked “how do you do what you do”, now is the time for you to find out! As well as learning how I do what I do I will also save you 13 days of classroom time and you will receive 3 Certifications, which are recognised worldwide. WHY would you want to become a practitioner of NLP, Time Line Therapy ® and Hypnosis in just 7 days? Could Colchester Anger Management and a Breakthrough Session be the key to resolving and removing your anger problems for good? Do you often just blow up for no reason, say and behave in ways that you wished you hadn’t and then feel full of regret afterwards? Do the simplest of things now seem to wind you up and you have no idea why? Do you have explosions or outbursts of temper with no idea where they come from? Do you feel that anger and rage is starting to take over your life and potentially create problems for yourself, your relationships, your career or your health? Do you feel like you are becoming somebody that you really don’t want to be and someone that you know deep down that you are not and its almost like you have lost control of who you really are? If you would love to be free of anger problems, free of rage and temper and free of the worry about how one day you may go that one step too far, then read on to find out how my Breakthrough Session is the key to being able to be free of these problems from your life for good so you can again be the person you really want to be! Why a BREAKTHGROUH SESSION For Anger Management with Colchester Anger Management Therapy? Imagine losing your temper, arguing, upset, falling out and generally being regretful about how you have behaved and wishing you hadn’t becomes a think of the past, for the first time in many years you feel in control of your emotions and yourself, things that at one point may have had you fly off the handle now fly over your head, situations you may have previously avoided incase you lost your temper or cool you can now embrace and enjoy, you are now fully in control of you and all of your actions. My BREAKTRHOUGH session gives you a personalised programme to be able to remove anything linking in and causing your anger problems so you can be free of them from your life for good and then our continued work together so you can then go forward and create the most out of each and every area of your life, put right areas that may have previously been impacted by your old ways and create new areas that you may have previously avoided or not even thought about because of the problems you were experiencing before.